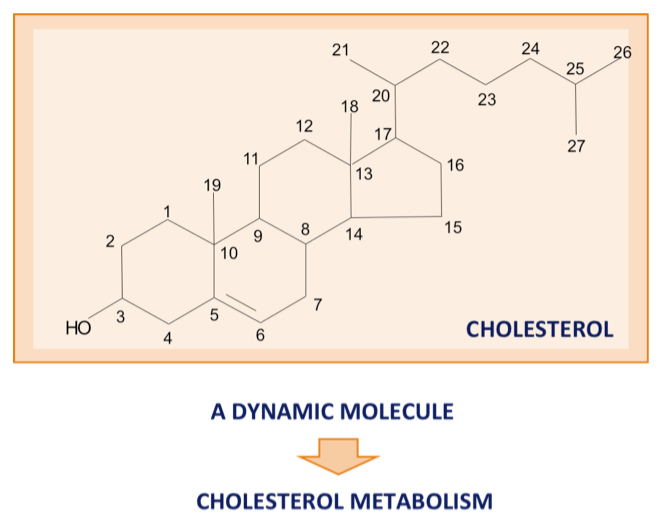 Cholesterol is an essential lipid with multifaceted functions in human physiology (Figure 1). Panoxyvir research focuses on the actually existing link between cholesterol metabolism and innate/adapted immunity against viral infections. The physiological metabolism of cholesterol is enzymatically mediated and leads to the production of oxidized metabolites, whose oxysterols are those mostly endowed with useful properties, provided that their concentration in the human body is maintained within a normal range. Oxysterols are a family of 27-carbon molecules that, with respect to cholesterol, contain an additional hydroxy, epoxide or ketone group in the sterol nucleus and/or a hydroxyl group in the side chain (Figure 2). 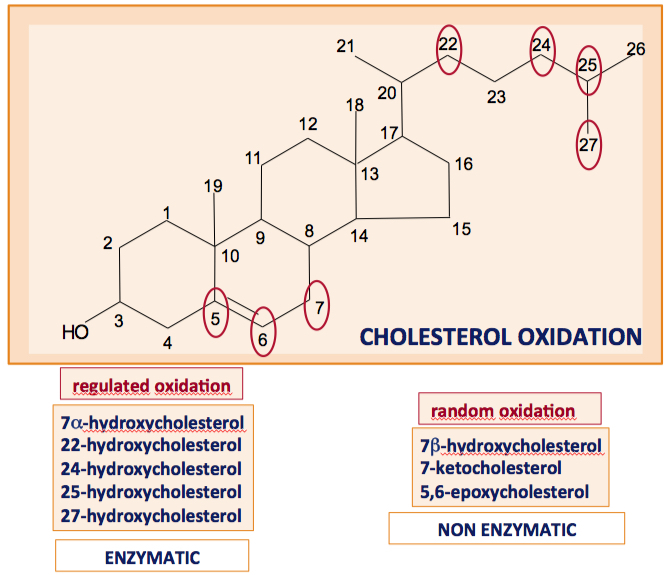 Notably, there are other oxysterols that can be generated through non enzymatic reactions both in the cholesterol rich food during cooking or storage and in the body under pathophysiological conditions associated with random oxidation reactions (Figure 2). The strong antiviral effect of some oxysterols is a quite recent disclosure and essentially limited to the sub-family of enzymatic origin. The Panoxyvir founders discovered that the broad inhibitory antiviral activity exerted by 25-hydroxycholesterol (25HC) was not limited to enveloped viruses as first shown by Su-Yang Liu et al. (Immunity, 2013) and Blanc et al. (Immunity, 2013), but it was extended to non-enveloped ones. Moreover, at least another oxysterol of enzymatic origin, namely 27-hydroxycholesterol (25HC) appeared to be as effective as 25HC (Civra et al. Sci Rep, 2014) with a selectivity index even more favourable than this second oxysterol (Civra et al., unpublished). Panoxyvir holds the patent for the antiviral activity of a number of oxysterols of natural origin against non-enveloped viruses, including Rhinovirus, Rotavirus and Papillomavirus. 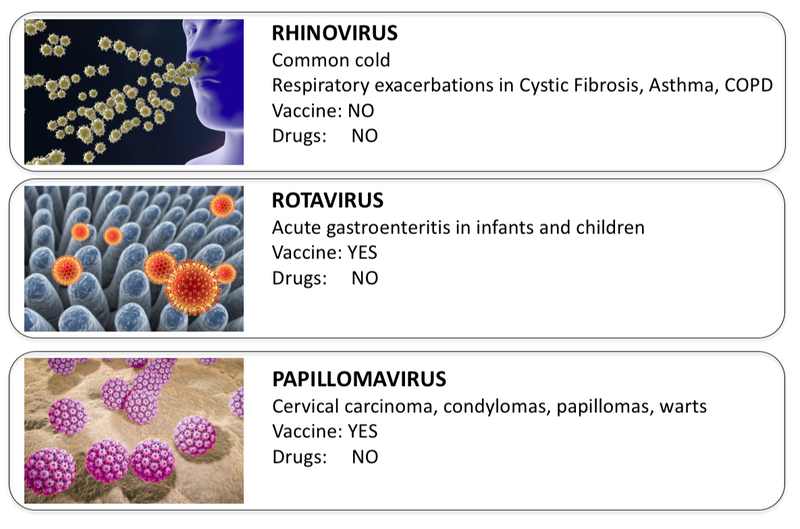 The company’s research activity is primarily related to the the infections mediated by these three classes of viruses (Figure 3). To elucidate in full the mechanism/s underlying the remarkably broad antiviral properties of 27HC and related oxysterols of enzymatic origin. To provide further convincing evidence of a primary role of 27HC and related oxysterols in key physiological processes of innate and adaptive immunity as well as in cell and tissue health and function.